St. Patrick’s Day, for many, doesn’t seem complete without a pint of Guinness. For some, it may be the only time of year for a pint of this velvety, hearty Irish stout. For others, including this dark beer lover, Guinness is a go-to beer in a number of instances. And of course, it’s a great addition to many recipes, including this Slow Cooker Corned Beef Stew crowd pleaser developed by our Mealtime Mentors. Guinness, as many people know, is a little different than other, lighter varieties. 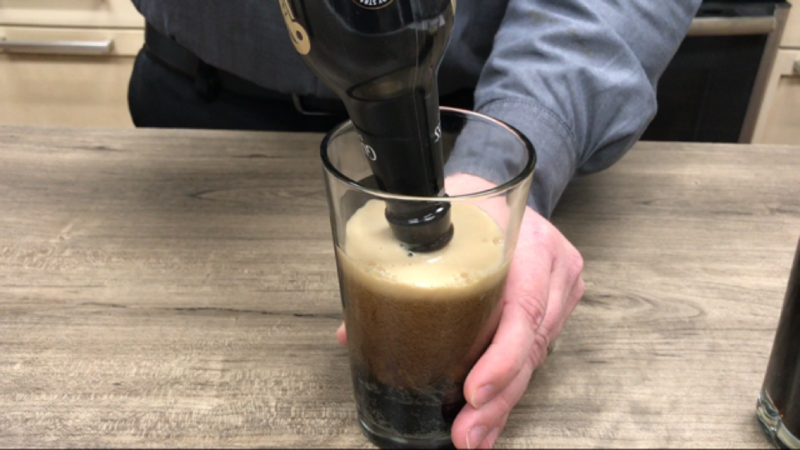 So we checked with Festival Foods’ Wine & Spirits Department Director Bill Story to get his advice on pouring a great beer … and, on St. Patrick’s Day, tips to pouring an amazing pint of Guinness. Cold beer, not a cold glass. The beer should be cold, but pouring it into a glass that has been chilled or just pulled from the freezer is not a good idea. Even Guinness should be served cold, not room temperature as some have suggested, Bill said. 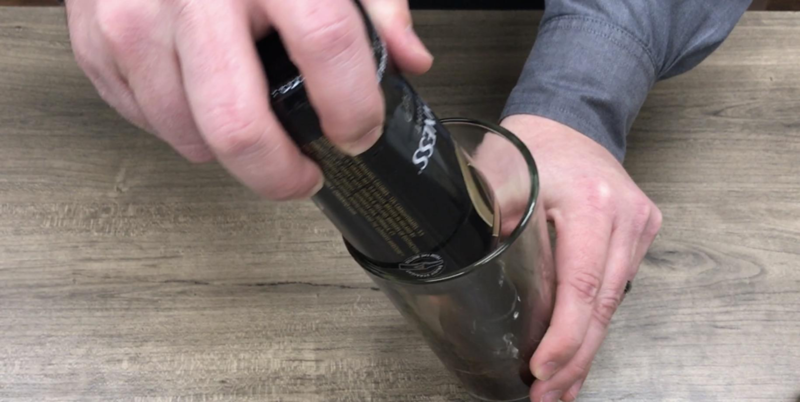 Frozen glasses are bad because “crystals that form on the frozen glass hurt a beer’s flavors and prevents a good head from developing at the top,” Bill said. Take your time. 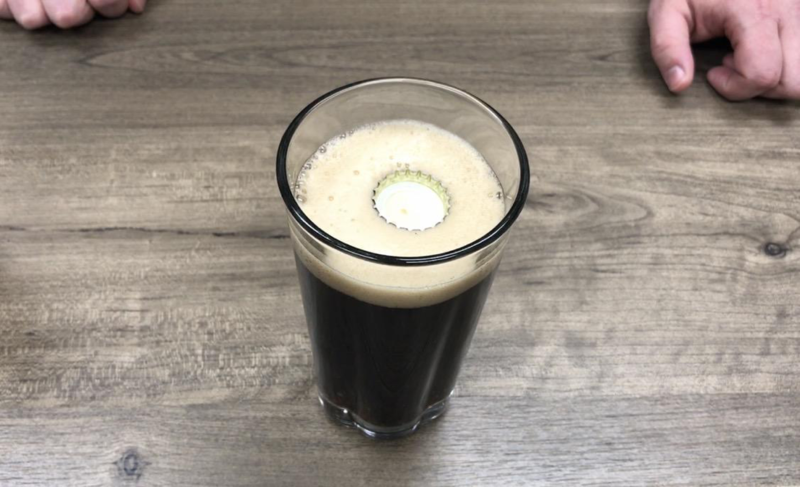 When you open a bottle of Guinness, just let it sit for a minute, which gives it a bit of time to allow the aromas to come out of the beer, according to Bill. Patience is especially important when it comes to Guinness, which is 70 percent nitrogen. Pour at 45. When pouring most beers, including Guinness, hold the glass at a 45-degree angle. In many instances, if you pour straight down from the top, you’re going to have a whole bunch of foam collect rapidly at the top, Bill said. Slowly tilt the glass straight and you’ll see the head start to settle. When the head is formed at the top of the beer, you generally want it to be one to two fingers wide. 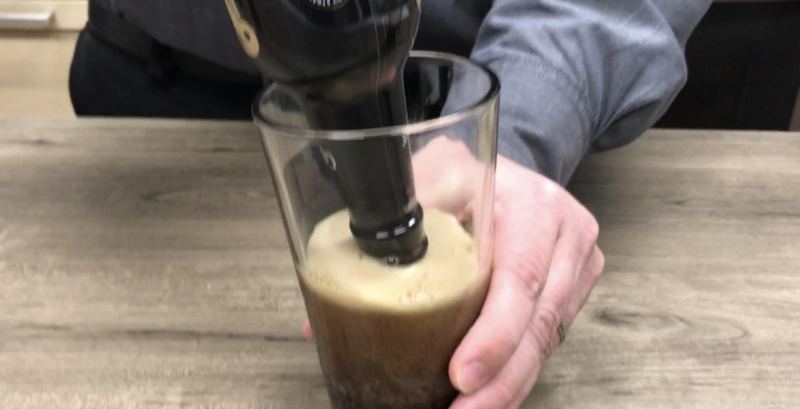 A wide head on a beer helps capture the aroma of the beer and it keeps the bubbles in the bottom half of the glass, Bill said. The (Guinness) Showcase Pour. 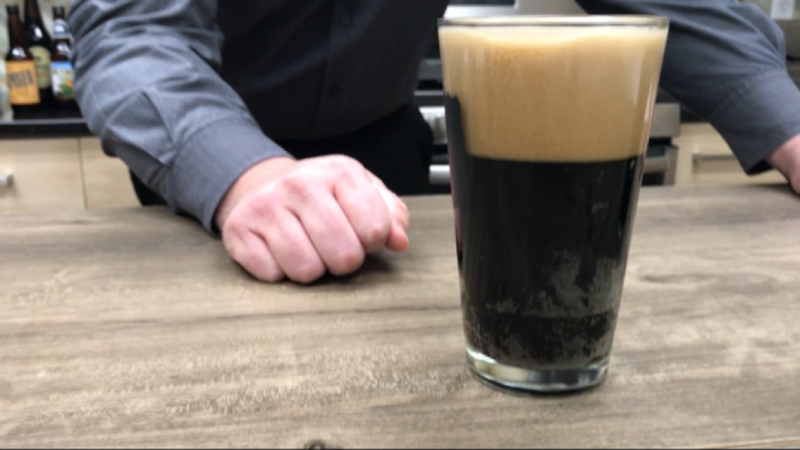 While you can pour Guinness into a glass at a 45-degree angle, you also can dump the beer right down the middle of the glass. Ultimately, this pour is just flipping the bottle upside down and letting out the beer. Glug, glug style. Sounds like it doesn’t work, but it does!